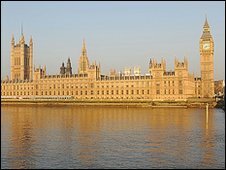 More than a quarter of MPs who fought requests for repayment of their expenses have been at least partially successful, the BBC has been told. 19 out of 70 MPs who challenged demands from Sir Thomas Legg after his audit of claims say these have either been overturned or substantially reduced. The full Legg audit of claims between 2004 and 2008, as well of details of MPs' appeals, is published on Thursday. Separately, ministers have introduced fresh legislation on MPs' expenses. Justice Secretary Jack Straw told MPs a bill passed last summer giving oversight of expenses to an external regulator would be amended to implement recommendations made by the Kelly committee in November. Sir Christopher Kelly's Committee On Standards in Public Life proposed a sweeping overhaul of what MPs could claim for as well as enhanced enforcement powers for the regulator. Among the proposals requiring Parliamentary approval are the creation of a new compliance officer to investigate breaches of expenses claims. Ministers want these to be on the statute book before Parliament is dissolved ahead of the election - which must take place by 3 June. Since revelations about the nature of claims became public last year, MPs from all parties have voluntarily agreed to repay money claimed for their second homes. When the expenses scandal unfolded, Gordon Brown asked former civil servant Sir Thomas Legg to look for mistakes made in expenses claims approved by the Commons Fees Office during a five-year period. Sir Thomas instructed about 200 MPs to return hundreds of thousands of pounds in "excessive" claims, but more than 70 challenged his findings. Many MPs were angry about the way the Legg audit was handled and the retrospective application of limits for what they could claim in the way of gardening and cleaning costs. The appeals process - conducted by retired judge Sir Paul Kennedy - was concluded on Monday. Now 19 MPs who appealed against the verdicts have told the BBC they will either have to pay nothing now or substantially less than had been asked of them. Two MPs who spoke to the BBC have had their appeals turned down but said they had been assured that they did nothing wrong and acted within the rules as they existed at the time. Several MPs have already gone public with the outcome of their appeals, saying they have been "vindicated" after being told they would not have to repay anything. Solicitor General Vera Baird told the Press Association that she had been informed she owed nothing despite an initial demand for nearly £1,280 in mortgage interest payments. "My name is totally cleared and that is fair," she said. The fallout from the expenses saga has contributed to a post-war record exodus of MPs from Parliament at the next election. 131 MPs have now said they will not contest their seats this time around, eclipsing the past post-war high of 128 retirements in 1945.